Happy summer, Retrowatchers! At long last! I had my doubts as to it ever being warm again, but am writing this while wearing a sundress sporting a tan. Let’s all breathe a collective sigh of relief: Ahhh! We’ve made it to the end of season three. 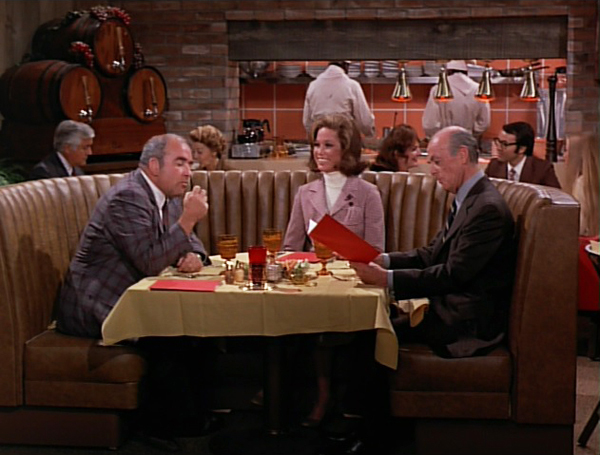 And what a season it has been: Lou Grant bought a bar, had a bullet removed from an unmentionable area, and went on an awkward Man Date with Mary’s father. 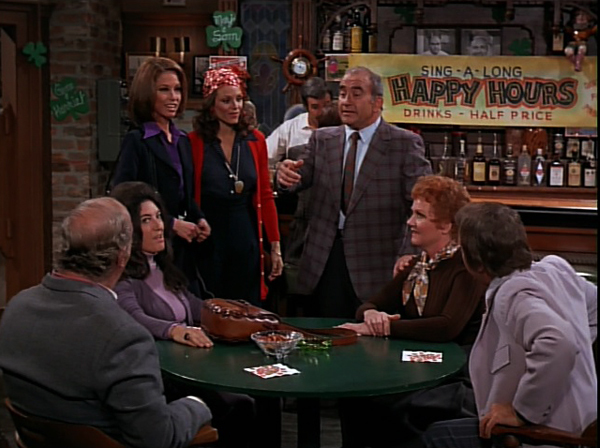 We finally met Mary’s parents and Rhoda’s dad. 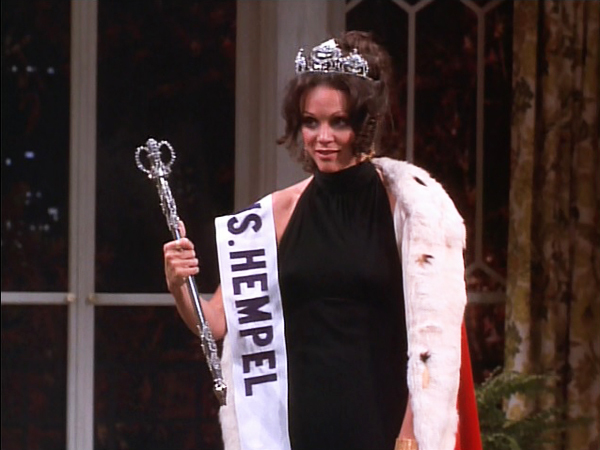 Rhoda won a beauty contest, pondered a move to New York, and (spoiler alert) opened her own store. 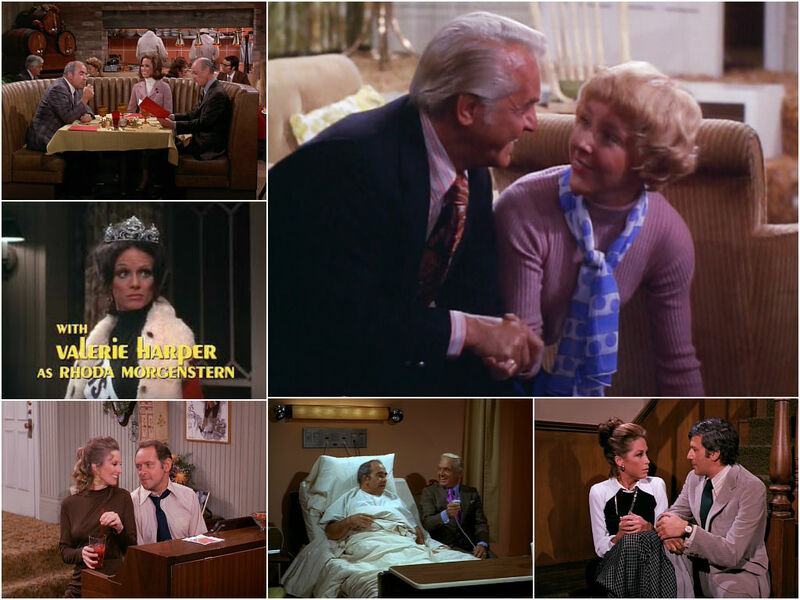 Ted hired an agent and briefly dabbeled in commercials, became temporary BFF’s with Lou, and got a girlfriend. 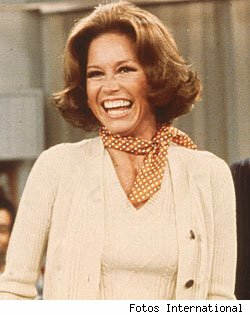 Phyllis, of all people, came out of the season the most progressive, encouraging Mary to go out for a promotion and hardly batted an eye when she found out her brother is gay. Murray…well…nothing much happens to our Murray. (Nothing ever happens to Murray.) As for Mary – she had quite a year as well. She finally got a raise, reconnected with her father, and nearly got engaged before realizing she’s not looking for Prince Charming. (Retrowatching HQ remains firmly #TeamDanWhitfield.) We met some new people – some good (Georgette, Walter Richards, Ben Sutherland, Philly); some not so good (the majority of Mary’s dates, most especially he-who-shall-not-be-mentioned-again, Warren Sturges.) The writers started to change structure a bit in season three, experimenting with subplots and comic runners. These mostly went to Ted; a few went to Rhoda. And speaking of writers, the question still remains: Who is this season’s MVP? Well hello there, Retrowatchers! I hope some of you are still with me. Please forgive my unexpected extended absence. As I mentioned in the previous post, 2014 got off to an unexpectedly busy start! To give you an indication as to how busy: I actually watched the episodes we are about to discuss in January. Eesh! Fortunately I take very detailed notes and was able to refresh my memory. Word, Lou! I always knew you were very wise. Happy 2014, Retrowatchers! I hope the new year is treating you well. Mine has been smashing thus far. 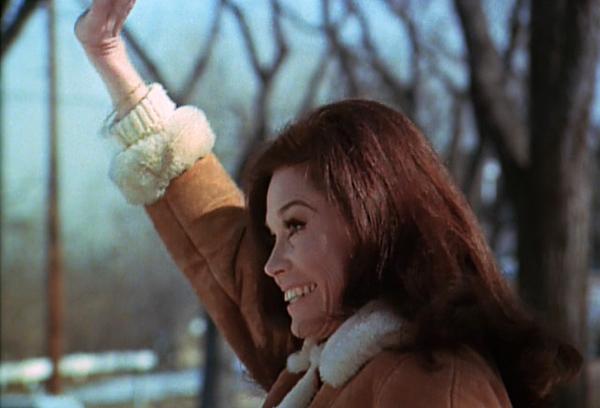 This week, we will delve further into the third season of Mary Tyler Moore. But first, I have to address something. It’s been bothering me since the start of the season. 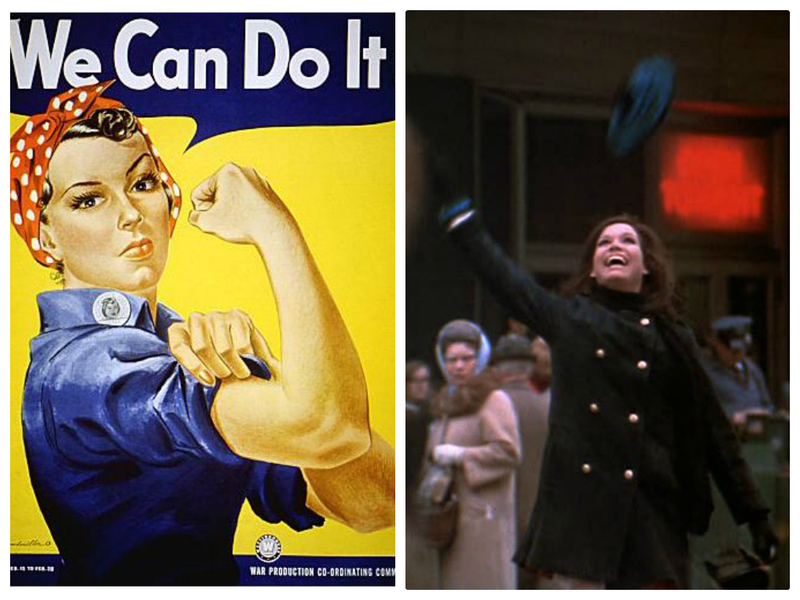 I realize the ’70s was arguably the cruelest decade for fashion. Mistakes were made. The prints. The colors. The pants. None of it is good. Surprisingly though, I made it three seasons without being truly horrified by a fashion choice. Yes, there have been ridiculous dresses, intentionally and unintentionally. But even the frilliest, pinkest bridesmaid dress does not offend my senses more than Mary’s short, poofy haircut. I get that it was the style at the time, but still: WHY? It’s just wrong on every level. AV Club They review lots of retro TV, professionally!